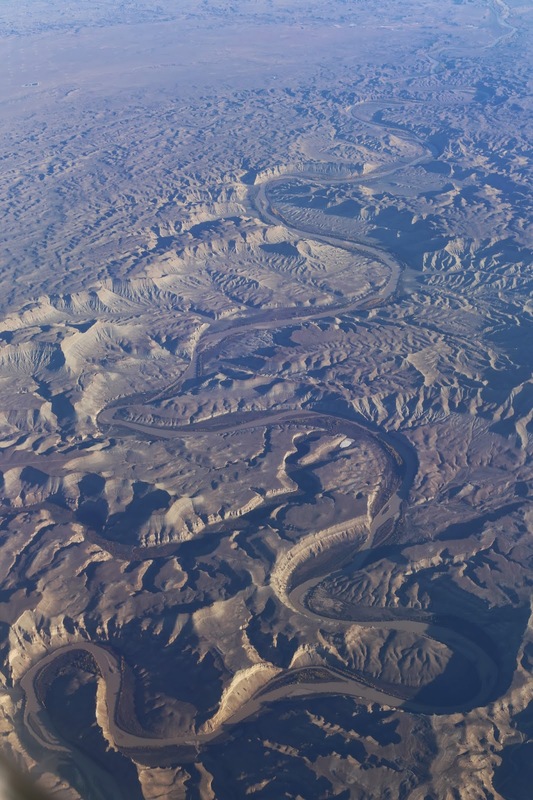 Utah's Green River runs from the top left through some spectacular and dry terrain down to eventually reach the Colorado. 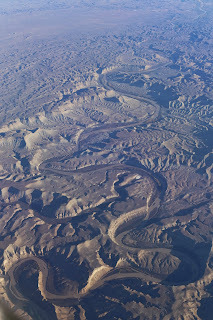 This is its confluence with Nine Mile Creek, and can be compared to the satellite view. You can fly to the Sand Wash airstrip, visible on the table along the left edge of this picture. A charter for two runs $280 from Moab.